Dr. Bobbi Stanley is a graduate of the University of North Carolina at Chapel Hill School of Dentistry but education has been a mainstay of her 25-year career. As owner and principal dentist of one of the largest comprehensive dental practices in North Carolina, her goal has been excellence in patient care through continuing education, the latest dental equipment and technology and superior materials. Dr. Bobbi Stanley reinforces these guiding principals with her team members and offers a myriad of opportunities for dental continuing education for associate dentists, auxiliary clinical team members, and dental office team members. Dr. Bobbi Stanley is a Master in the Academy of General Dentistry (MAGD), Diplomate in the International Congress of Oral Implantologists (DICOI), a Fellow with the International Association of Orthodontics (IAO) and a Fellow at the Las Vegas Institute for Advanced Dental Studies (LVI). Additionally she is a Sustaining Member of the American Academy of Cosmetic Dentistry (AACD), the International College of Cranio-Mandibular Orthopedics (ICCMO), the International Association of Orthodontics (IAO) and is a Qualified Member of the Crown Council, the American Dental Association (ADA), the Raleigh-Wake County Dental Society, the North Carolina Dental Society, the American Academy of Women Dentists (AAWD) and the Dental Organization for Conscious Sedation (DOCS). 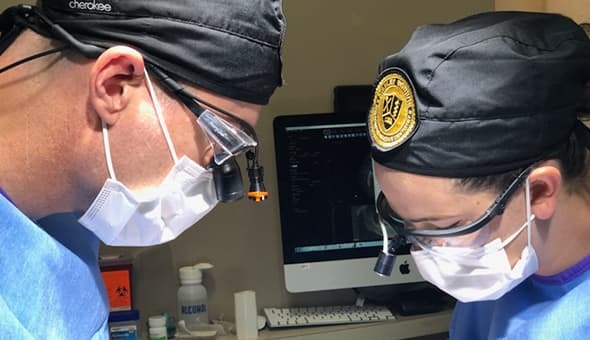 Dr. Bobbi Stanley is an Adjunct Professor in the Department of Prosthodontics at her alma mater, the University of North Carolina at Chapel Hill School of Dentistry. She is Co-Founder and Senior Instructor at Stanley Institute for Comprehensive Dentistry in Cary, NC, as well as a Senior Instructor at the International Association of Orthodontics in Milwaukee, Wisconsin and The Facial Beauty Institute in Memphis, Tennessee. Dr. Bobbi Stanley strives for excellence inside and outside of the clinic and classroom. She and her husband completed the City of Oaks Half Ironman Triathlon in Raleigh, NC and in October 2017 competed in the Ironman Triathlon in Louisville, Kentucky.